Diabetes is a serious chronic condition and right now there is no cure, it can only be managed. When blood sugar becomes very difficult to control, insulin is recommended. However, insulin increases weight gain by contributing to elevated levels of triglycerides and LDL cholesterol and also poses extra problems, such as hypertension, sleep disorders and atherosclerotic plaque. My spouse is taking prescribed medicines for diabetes treatment but lately, her blood sugar readings have been more elevated than usual. I want to avoid insulin injections if at all possible, so I am adding a homeopathic diabetes treatment regimen using products from H&N Health Paradise, a well respected homeopathic products company. Homeopathic diabetes treatment remedies extend back hundreds of years, feature natural herbal substances and side-effects problems are unheard of. Since this is a program that may be as new to you as it is to me, I am going to discuss the diabetes treatment with each update. We are using a total of five homeopathic diabetes treatment products from H&N Health Paradise. I am not abandoning the medically prescribed treatment at all but adding homeopathic remedies to it. In the morning my spouse takes a blood sugar reading. Then, (30 minutes prior to eating), she is taking two 400mg tablets of H&N’s Diabetin #1, which contains an herb called Gymnema Sylvestre, well respected in Indian ayurverdic medicine. In the Hindi language, Gymnema Sylvestre means “sugar destroyer”. During the first meal of the day, she takes two capsules of H&N’s Diabetin #2, which is a complex source of energy, helpful in lessening possible crashes after meals, supporting the immune system, providing antioxidants, working as a fungicide against the fungus inside the veins via excessive blood sugar levels and controlling and reducing cholesterol. It takes more than medicine alone to control diabetes. Here are some additional steps I am taking in my spouse’s diabetes treatment care plan. The A1C test result reflects an average blood sugar level for the past two to three months. Specifically, the A1C test measures what percentage of the patients’ hemoglobin (a protein in red blood cells that carries oxygen ) is coated with sugar. The higher your A1C level, the poorer your blood sugar control and the greater potential for health complications later on..
After about one week into this regimen I will report on how the homeopathic diabetes treatment is working in regard to my spouse’s blood sugar levels. H&N Health Paradise has provided me with these homeopathic diabetes treatment products gratis for me to review. I am very optimistic about the diabetes control effect. Faithful adherence to the steps outlined above along with the homeopathic diabetes treatment regimen shows great promise. Didn't know cholesterol played such a big part. Yes, you definitely want to avoid shots if at all possible. Hope this works for you wife. I hope this works. keep us posted! ALEX CAVANAUGH: Thank You Alex, I really appreciate your comment. JOANNE: We are very optimistic, Thanks for your encouragement. I hope and pray this works for you. 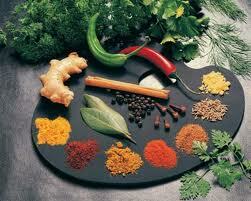 I use herbs to heal with much success, more success than medication the doctors gave me in the beginning. I had no idea about the fungus in the veins. I know that candida can lead to problems with elevated sugar levels. I wonder if the two are somehow related? Hmmmmmm this is something for me to think about because before I started on the candida protocol, the docotors were monitering my sugar levels because of increased triglycerides. I am wondering if the Diabetin #2 would destroy fungus as in candida in my blood too. I might have to ask H&N what they think about this. MY JOURNEY WITH CANDIDA: Thank You for your prayers, I appreciate it greatly. I don't know but perhaps Diabetin #2 may be helpful to you. I would be very happy if it did good for you. Please check it out. SCHMETTERLINGWORDS: I appreciate your prayers. If successful I will be telling everybody. God bless you too. I love the care and support you show your spouse. Thanks for sharing your discoveries with us. TORVIEWTORONTO: Thank You. Anyone with type II diabetes should be interested. GENE POOL DIVA: I'm hopeful this works so I may pass it on to others. Thank you for sharing this information and keeping us updated on how the products work for Kathy. SUSANNE DRAZIC: I will. If it works for Kathy I will want to spread the word. definitely a helpful post !my mom is diabetic n I know how difficult it is for her !thnx for sharing the link....will share this with my mom ! Thanks for sharing the information. Hope this works and waiting to hear, how it worked. SONALI PRADHAN: This treatment seems to be working, I am glad because we do not want to resort to insulin injections. SENSIBLE VEGETARIAN: Thanks, I will keep you posted. Thanks for sharing information about Homeopathy treatment of Diabetes. Your post was really very informative to me. Keep the blog updated in same way.